For over 100 years, Minor Rubber has been a leading manufacturer of high quality rubber bellows for a wide range of industrial applications. We specialize in double cuff end and tapered bellows for electronics, aerospace, healthcare, construction, transportation, and defense applications. We serve the OEM and replacement part markets, and provide inventory for industrial distributors. Rubber bellows are used as extension joints for moving parts, providing flexible alignments and noise and vibration absorption. In addition, they provide protection for equipment and parts from contaminants found in manufacturing and industrial environments, including dust, moisture, oils, chemicals, and UV. Minor Rubber manufactures our bellows using a using a variety of methods to produce long lasting, high quality products in a range of sizes, shapes and configurations. Latex dip molding – Parts are seamless and have a uniform wall thickness. Latex dip molded parts are available in natural rubber or Neoprene®. RF welding from thin urethane or vinyl films – Used to manufacture bellows that are strong, offering a large variation in compressed to extended length, lightweight, and flexible. Fabric-reinforced – Used to manufacture fabric bellows that require the additional strength and protection of a rubber coating. Minor Rubber maintains a large inventory of tooling to provide us with the capability to manufacture bellows in a wide range of standard configurations and sizes. If you need a custom bellow for your application, our staff has the experience and application knowledge to work with you to manufacture rubber bellows that meet your exact specifications and quality standards, and are delivered to you on time and installation-ready. With over 100 years of experience manufacturing rubber bellows, we have earned a reputation for manufacturing high quality rubber expansion joints. 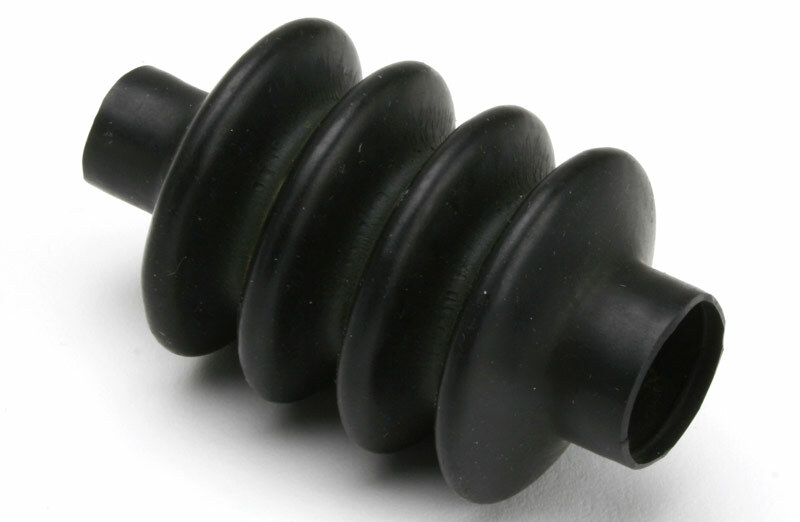 Our attention to detail and commitment to excellence for every project, coupled with our experience and knowledge of the industries we serve, ensures that your rubber bellows will meet or exceed your expectations. Call today to see how we can be of assistance.